Filmmaker Corey Ogilvie has released another short film entitled Occupy Blitzkrieg, following up his prior releases including Dear Taxpayer, I Am Not Moving, We Are All Scott Olsen, Bloomberg Forever, Protect Us, and How to Film a Revolution. The video takes a satirical look at the Occupy movement from the perspective of a 1950’s propaganda piece. In addition to Corey’s short films, he and his team are currently working on Occupy: The Movie, due out later this year. 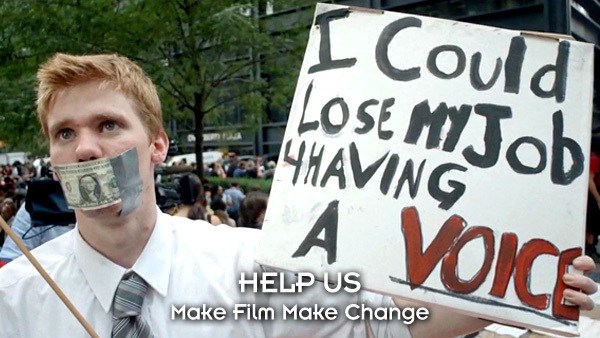 OCCUPY THE MOVIE will document the Occupy movement’s first year with gritty detail, while exploring its origins, purpose, and future. It will be like no other film you’ve seen, intercutting the dramatic handheld footage of protestors with candid interviews of the movement’s leaders and enemies. We will ask: What is the history of occupations? Who are the architects of the movement? Who are the allies and enemies? Where has it succeeded and failed? Can it make change, or will it be evicted? Most importantly, why Occupy? They demand positive, common sense changes for their country. They want a democracy where people, not corporations, write their legislation. They want a fair tax system and less government waste. They want Wall Street to take massive risks, just not with their personal savings, mortgages and tax-dollars. This, apparently, amounts to Class Warfare. Watch all of Corey’s short films for free by checking out our video gallery.